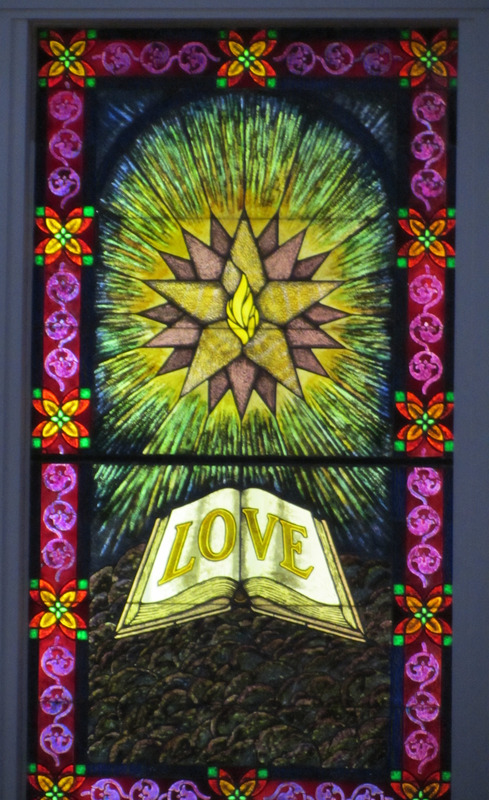 The Love Window is one of the original windows from 1950. In 1971 fifty eight windows throughout the Temple were replaced with new designs by Ernest Wilson and Paul Mann. This entry was posted in Uncategorized and tagged Blogging 101, Stained Glass. Bookmark the permalink.